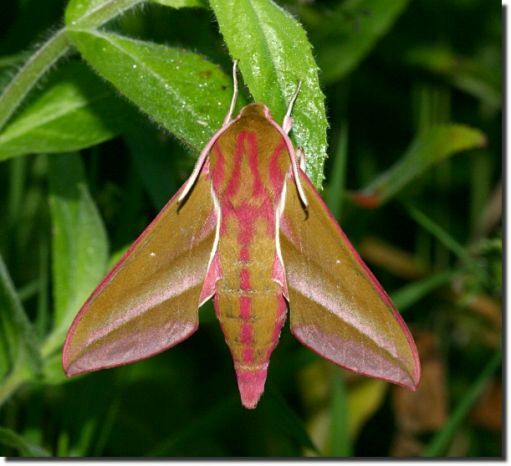 Notes: Common in hedgerows, gardens, woodland edges and heathland, and on rough grassland and sand-dunes throughout England, Wales and southern Scotland. Widely distributed and occasionally abundant throughout Hampshire and on the Isle of Wight. Wingspan 62-72 mm. 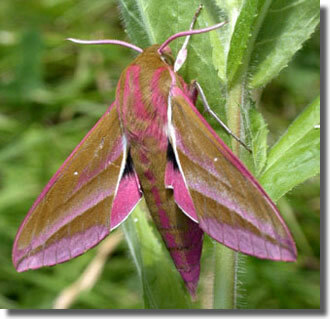 Small Elephant Hawk-moth D. porcellus is superficially similar, but smaller, with forewing yellow and pink, not olive-green and pink. 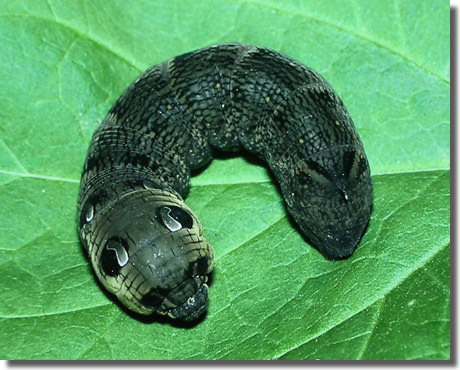 Larva feeds on Rosebay Willowherb, Great Willowherb, Lady's Bedstraw, Hedge Bedstraw, Heath Bedstraw and Marsh Bedstraw, over-wintering as a pupa.